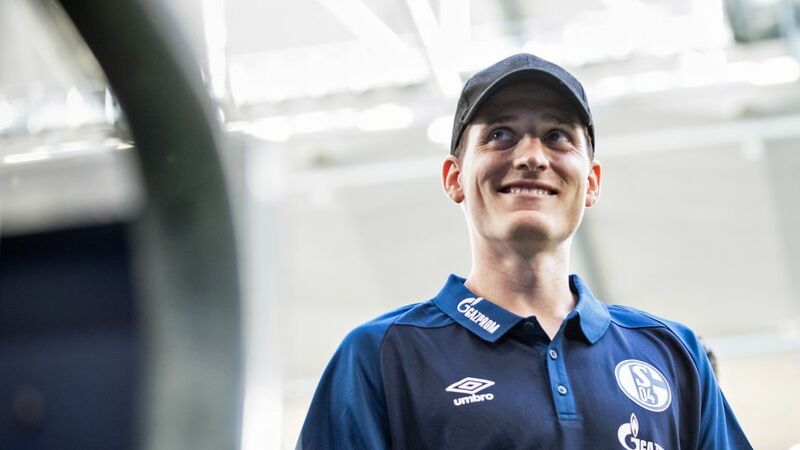 Schalke midfielder Sebastian Rudy may be known as one of football's Mr. Nice Guys, but his reputation masks a battle-hardened will to win that has propelled him to the very top of the game. The second oldest of four siblings in a football-crazy family, Rudy grew up in the town of Dietingen, which lies between Freiburg and Stuttgart in south-west Germany, although he was actually born in the nearby town of Villingen-Schwenningen – where Schalke team-mate Daniel Caligiuri is also from. Rudy's older brother Florian was likewise a professional footballer in the third division, but their passion for the game came from their father Claude, who once played alongside Jürgen Klinsmann in a Baden-Württemberg state XI and was also Rudy's coach in the local youth team at FC Dietingen. After joining the VfB Stuttgart academy in 2003 at the age of 13 with his brother Florian (who left in 2004), Rudy rose through the ranks and eventually made it into the first team as a fresh-faced teenager in 2008. Earlier that year he received the seal of approval for any up-and-coming young footballer by winning the silver medal in the prestigious Fritz-Walter Awards in the U-18 category, behind future Germany colleague Toni Kroos. Nevertheless, things did not go entirely to plan in Stuttgart - though he did score one and set up another in a UEFA Champions League victory over Rangers - and after making just 15 league outings he departed for Hoffenheim in 2010. Rudy's name may have only come to the fore in recent months, but they have long known about him in Germany's footballing circles. He partnered Kroos in midfield at the FIFA U-17 World Cup in South Korea in 2007, helping the side finish third. He also represented the U-18s, U-19s and U-21s before making his debut in the senior side in a 0-0 draw with Poland in May 2014. Although he just missed out on being named in the World Cup squad for Brazil 2014, he was the leader of the Germany team that stormed to the FIFA Confederations Cup 2017 title in Russia, starting each of his side's games and only missing 16 minutes of the whole tournament. Joachim Löw was impressed enough to take him to the 2018 World Cup, but he played just 31 minutes after suffering a broken nose in Germany's game against Sweden. As such, Hummels was moved to post a touching farewell message on Instagram when news of Rudy's transfer broke. "A brilliant footballer and person is leaving us," he wrote. "He's a virtuoso at video games, a machine at the table-tennis table […] and a genius at playing two-touch football."